This life changing teaching on “the Hope”, hope is clarified. 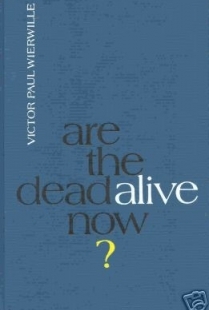 What happens upon death, the 1st & 2nd coming of Christ and body-soul-spirit is rediscovered. There are four or five things I want to clarify for you tonight, and then as you work the Word in your life in the future, you’ll always find these to help you. There is no consciousness after death, so there’s no consciousness in the grave. And wherever there is no consciousness, there is no remembrance. Therefore, the moment of an individual’s death, the moment of death, is for that individualthe very moment of the return of Christ because there is no time. I’d like to straighten out the words “resurrection” and “rise” with you. The word “resurrection” applies to all people before the day of Pentecost. All Israel before the day of Pentecost are dead, and they’re going to stay dead until the secondpart of the return. Resurrection applies basically to two categories: All believers before the day of Pentecost and all unbelievers before and after the day of Pentecost, because they’re all going to get up sooner or later, whether they like it or not. The dead in Christ shall rise what? First. Then we which are alive and remain shall be changed. There’ll be some people living with the return of Christ. Therefore, they will not have been dead. Therefore, they cannot be what? [Raised.] But they will have to changed.